Look. The world is terrifying and dangerous. That’s not news to anyone, especially today, and we try our best to make sure we can protect each other from, you know — all the badness. Take for example auto mechanic Cross Scott who, while driving a customers’ car to test it out, found a woman slumped in her seat by the side of the road. 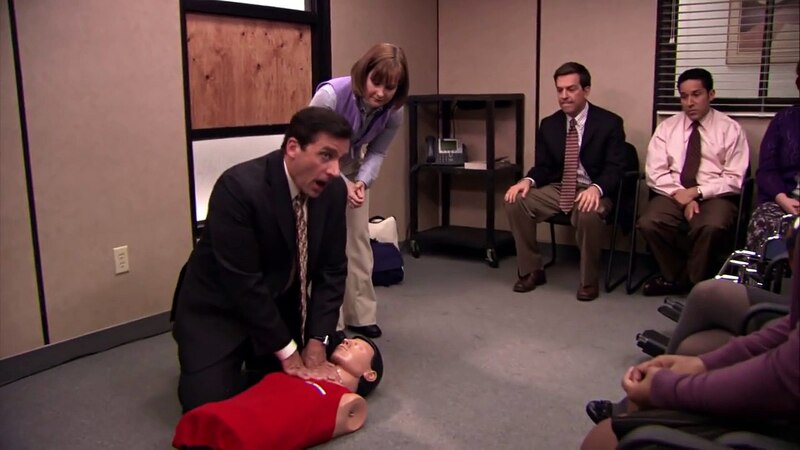 He broke open her window and pulled her out and, as the ambulance arrived, proceeded to give the woman CPR using the techniques he learned in the most important and educational of the American oeuvre of medical assistant: NBC’s The Office. 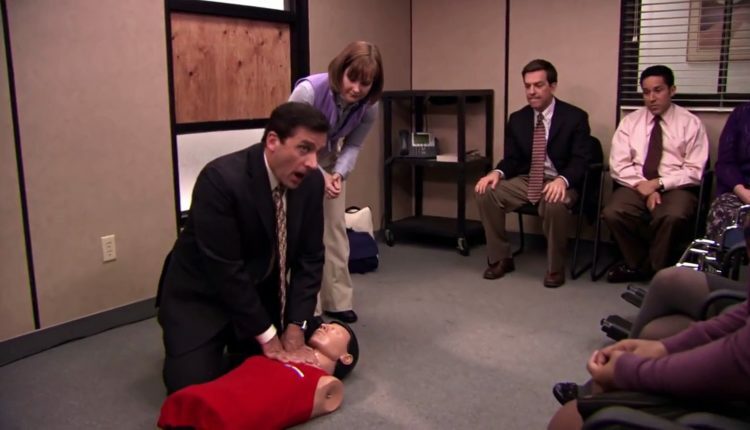 Specifically, The Office: Season 5, episode 14, “Stress Relief: Part One”, involving Steve Carrell’s Michael Scott, the ever irritating and buffonish Dunder Mifflin manager who managed to properly do CPR by doing it to the rhythm of the Bee Gee’s “Staying Alive”. It turns out that was the ticket, and Cross Scott did the same — CPR to the rhythm of that disco hit — until the women was revived, vomited, and was rushed to the hospital. Cross Scott, according to the Arizona Star, then returned promptly to work, because hey, the man’s got sweet cars to fix, all right!?!? The economy doesn’t stop for you just because you saved a life, you know! The CPR provided proved to be possibly the difference between life and death. Courtney Slanaker, the executive director of the Arizona chapter of the Red Cross said: “If you don’t do CPR, that victim will die. Don’t be afraid to act. Whatever you do will help that victim and hopefully prevent a death.”. Netflix has been making a meal out of this news story, and using the clip of Carrell in their Twitter campaign to get more people to uhh… I guess keep streaming one of their most popular shows! Go go go! Incredible heroism from the side of Cross Scott, and remember, if you want to save a life, and feel like taking CPR classes was not enough, just watch hours and hours of television. Something good too. Like, The Office, nothing crappy like Ricky Gervais’ post Extras ouevre or anything. That’ll just teach you how to do the opposite of CPR… RPC (brr! I can’t even begin to imagine!). Check out a video below about Tiffany Haddish if you are a fan of comedy so good it will teach you how to save lives (or something like that). For more, follow us on Twitter at @WhatsTrending.